This digital Guidebook provides a substantial overview of the marketing techniques available to self-storage operators and insight to help you determine which ones might work best for your particular business. 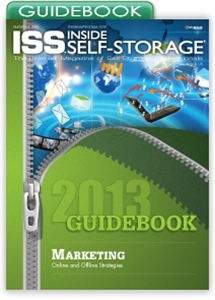 Self-storage marketing has catapulted to a whole new level. Long-term business sustainability and success requires comprehensive and creative marketing campaigns encompassing traditional, online and grassroots strategies. Owners and managers must educate themselves on emerging channels or lose business to competitors who do.